Based on the recent research in human behavior and learning patterns, some studies show that after 3 days, a student will ONLY retain 10-20 percent of written or spoken information. However they will retain an incredible 65 percent of visual information presented to them in the same time frame! This opens up almost unlimited opportunities for further improvement of the ways how people study and retain important information. So for example, if you attend a lecture or a webinar, after 3 days, 80% of the information will be lost. But if you reference the notes, or have a strong mental image of a graph or a picture related to that information, you'll remember and retain at least 40% of the material you forgot. That was the main reason that Christie Marie Sheldon and the folks at MindValley created this awesome Unlimited Abundance Webinar Infographic as a reminder for the teaching during the last Unlimited Abundance webinar. Christie Marie Sheldon and Unlimited Abundance webinar organizers from MindValley recommend that you download this infographic, print it and keep it somewhere where you'll be able to see it everyday. If you click on the image above, the full sized infographic will be opened on another page. In short, this Unlimited Abundance webinar infographic shows five separate parts of the presentation and describes short reminder instructions for each. 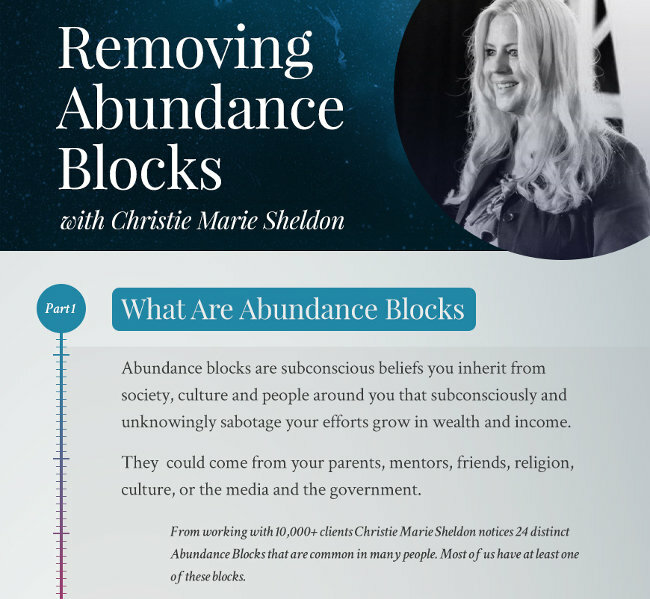 The official title of the latest online presentation is “Removing Abundance Blocks with Christie Marie Sheldon”. Webinar Infographic: 1. What Are Abundance Blocks? Abundance blocks are subconscious beliefs you inherit from society, culture and people around you that subconsciously and unknowingly sabotage your efforts to grow in wealth and income. They could come from your parents, mentors, friends, religion, culture, or the media and the government. From working with 10,000+ clients Christie Marie Sheldon notices 24 distinct Blocks that are common in many people. Most of us have at least one of these blocks. Does thinking about finances, bills, debt, credit cards, etc., make you feel good or frustrated/stressed? Believing the phrase, “money is the root of all evil”, is programming many people to buy into throughout their lives. But money is just a type of energy you use to do good things for yourself. Money is just an effect. The true cause of your financial situation is your energy field and programming that you've “agreed” to align with. To liberate yourself from your blocks, go to the unlimited source – the part of your personal and energetic field called your unlimited Abundance Frequency. Think about your finances, income and your career and ask yourself where and whom you received your beliefs about money, income and career from. What age did you develop these beliefs? Where did you buy your story from? was it from how your parents viewed money? How old were you when this patter first started taking place? Is this coming from a part of me that doesn't want to change and upgrade into a unlimited and more abundant life? If it comes from a block… You need to delete it and transmute it. Webinar Infographic: 4. 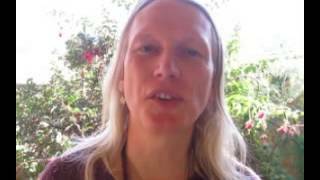 How Much Your Abundance Blocks Could Be Costing You? 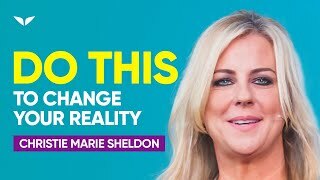 In her Unlimited Abundance program, Christie Marie Sheldon suggests that to be considered “financially healthy”, your income should increase by at least 10% each year starting from your first year of work. Find out if you are achieving this at the Unlimited Abundance Special page (unlimitedabundance.com/special), under the section “Are You Growing By 10% Each Year” (look for the Unlimited Abundance Calculator lower down on the page). If you're not earning what you should be after all these years, you probably have Abundance Blocks, and your Unlimited Abundance Frequency needs to be fixed. You'll see and feel results at the very moment you start working on your unlimited personal energetic fields. Once that block is gone, you won't even be able to conjure up the negative thoughts you had before that were holding you back. As a result, you can start enjoying literally unlimited positive results instantly, which only get better as the days, weeks and months go by. Upon clearing the blocks and jump-starting their unlimited abundance potential, people start to notice their careers taking off, their income rising and they seem to be far more fulfilled with their money situation. Hundreds of case studies and letters from listeners are on the Unlimited Abundance reviews page (unlimitedabundance.com/reviews).